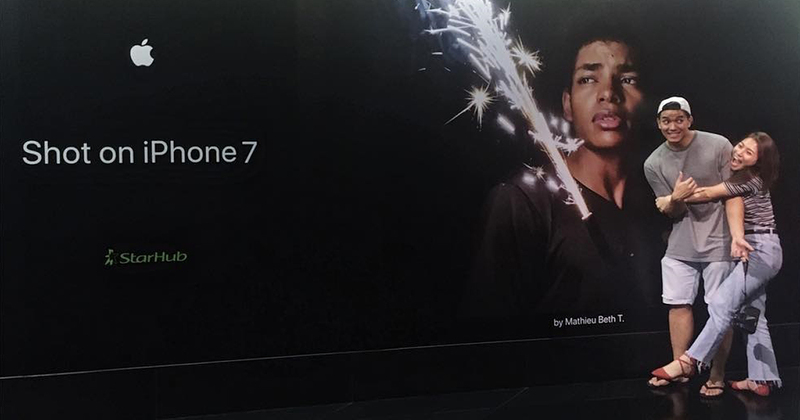 Apple’s #ShotOniPhone billboards are the holy grail for all iPhone users. This is one campaign that Apple renews annually, in search of some of the most talented mobile photographers using the latest iPhone. So while not all of us are natural-born artists, what this means is that normal people like you and I can have the chance to have our work plastered on billboards all over the world. 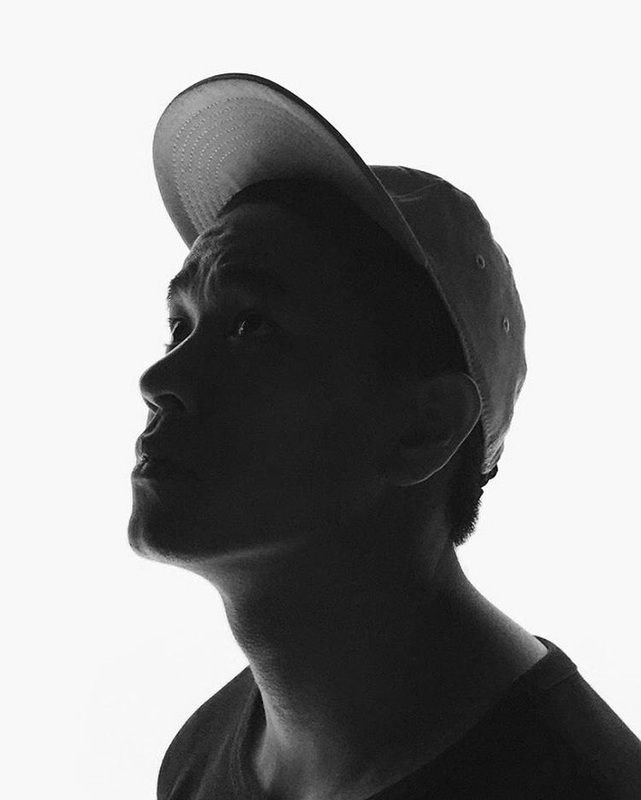 Year after year, several iPhone users from around the world have been chosen by Apple for this campaign. Previously, only a single Singaporean was ever featured and that was Terence Lee, with his iPhone 6 in 2015. Fast forward two years on, 2017 now sees another Singaporean making it onto Apple’s billboards. Singaporean Mathieu Beth Tan joins the ranks of international iPhone photographers to have their works on Apple’s iconic billboards. Starting today in Singapore, his photo has been put up on display for all to see. We managed to grab hold of Mathieu before his billboard was unveiled, to find out more about himself and to ask if he could share some tips to aspiring photographers. Well, to start of, Mathieu isn’t a full time photographer. A graduate of the National University of Singapore, his day job sees him working in the transportation industry, and he counts rugby as a sport he played all his life. His journey in photography first started in 2011, on the first date with his girlfriend (now fiancée) when she had a film camera with her. As he fell in love with his girlfriend, so too did he with photography, and a year later bought his first digital camera – the Fujifilm XE1. During his travels, he takes photos of landscapes and also portraits through medium format film for its fine quality, and digital cameras for its convenience. Among the photographers which he counts as role models, he lists Christopher Hainey, and Chris Schoonover from the United States, and finally his fiancée Gladys. He counts these people as sources of inspiration. He looks up them up on their personal websites, Instagram profiles, and also their Youtube pages where he will watch any behind the scenes videos for insights. Mathieu also tends to get excited by two things while searching for inspiration – good colour coordination and good models/subjects within a photograph – and it was these two qualities that eventually made its way into his brand of photography today. As with any hobbyist, he started off with landscapes and architecture as it is the most accessible form, but it soon got boring, and he then moved onto portraits, and was only excited if he shot unique models. Thus the decision to dive into conceptual and art photography. He found satisfaction in the play of ideas, colour coordination, and the focus of details within images. A feeling which he never felt before. Creating something too niche while may not appeal to everyone, but the exclusivity of making such works is something that he loves. Every once in a while, you will see Mathieu posting something that inspires him, in a hope that these photos will remind people of something they see everyday but sometimes go unnoticed, like neon lights and light installations. Mathieu has some pieces of advice for those seeking to uplift their profile on social media platforms like Instagram through photography. His first tip for everyone is to have a mental image of what you want to achieve, then back it up with inspiration from photographers you look up to, learn their style, and observe the fine details in their photos. Then, think about how you yourself can achieve that same outlook, as you discover your own style in the process to know what appeals to you. Secondly, have a physical game plan – literally map your ideas down on paper. List down the possible obstacles and hindrances, and work out alternative solutions if you feel what you’re aiming for may not have a desired outcome. Tip number three is to never go at it alone. Find someone who shares the same passion and ideas, a person who can help you achieve your vision and make it a reality. Finally, he reiterates an old tried-and-tested mantra by any photographer – practice makes perfect. In your process of self-discovery, don’t forget to keep trying until you get that perfect shot. Even if you need to spend hours, taking hundreds of images, the day will come when all of it will be worth it for that one shot. He ends with a protip – avoid street lighting as your source of light, and try to use your own light like the flash from your iPhone. Also, for the iPhone shooters, know what your iPhone can and cannot do. Be real and manage your expectations. Vulcan Post would like to thank Mathieu Beth Tan for taking the time to chat with us! 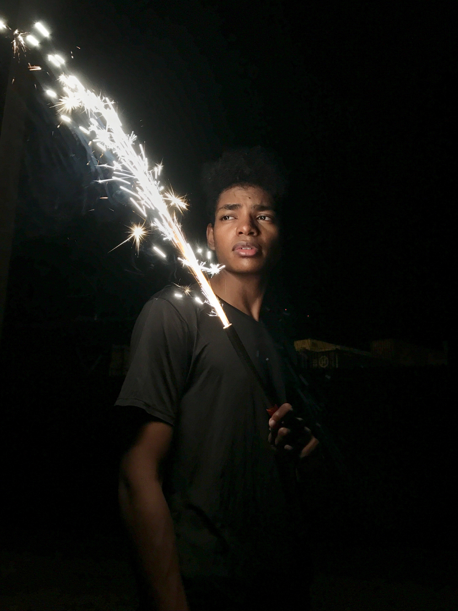 Check out his stunning photo of a friend holding on to an incandescent sparkler from today on The Verge shopping center at Serangoon Road, and the underground Orchard MRT pathway leading to TANGS. Visit his website and Instagram for your dose of inspiration.